The majority of individuals you meet want to stay at the home as opposed to nursing homes. What adaptions can you make in your home to keep someone at home for longer? This module will share links to different devices and resources for you to keep your care recipients at home for longer. Please check out our Cooking, Eating, and Drinking Module for more ideas! Tasks in these categories can always seem overwhelming for both the caregiver and care recipient. There are many different devices and tools to make these daily living activities more manageable. Sometimes care recipients are in need of assistance but have no way of alerting their caregiver. There are many different ways to signal alerts. Alabama Respite is a temporary relieve for caregivers. Interested in learning more about vouchers, natural supports, or ways to take a breather? Check out their website for more information ( www.alabamarespite.org )! The following links provide a list of resources and ways to modify your home in order to make it more accessible for individuals with disabilities and seniors. STAR program that provides financing to families so that they may purchase assistive technology, adaptive equipment, and related services. 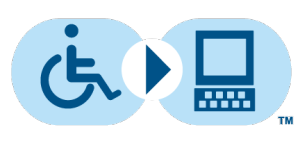 Assistive technology is donated to the Reutilization programs throughout the state of Alabama and then consumers with disabilities can request the equipment at no cost. CASA’s mission is to assist the elderly and homebound who have unmet needs, with volunteer services. Our programs are designed to enable them to maintain their independence, dignity, health and safety, in their own homes. CASA provides services at no cost to clients. Services are based solely on need, without regard to income, race, social status or religion. Click here to find a CAP Specialist in your area.